Ireland is a country of a tragic history. It is the birthplace of many talented writers. It has got the highest number of Nobel prizes for literature. The people here are warm towards tourists. You will find that they are liberal minded people. Everything just perfectly goes together for Ireland. The alluring landscape, the outdoor activities, The rich literature each aspect will charm you. Some places in Ireland are a must see. A city of saints nestled between two lakes. You will spend some quality time with nature in Glendalough. St Kevin established a monastery here. The towers and sites from the sixth century make this place come alive. The thick woods surrounding it will call onto you. You can just lose yourself in the silence of nature. Many archaeological sites are waiting to be explored. Just enjoy the diverse wildlife or plan a picnic here. Queen Victoria graced the land of Kerry. In the nineteenth century, Muckrose House was built. The grand architecture and bewitching scenery will leave you spellbound. Killarney National Park houses this amazing House. Everything here was made perfect for the arrival of the queen. They are faded beauties of past. When you visit the place, you will feel like you are a Queen. You can move around in horse carriages. Take the opportunity of enjoying the landscape in a medieval way. Touring without shopping doesn’t sound exciting. But Ireland brings to you something more than shopping. 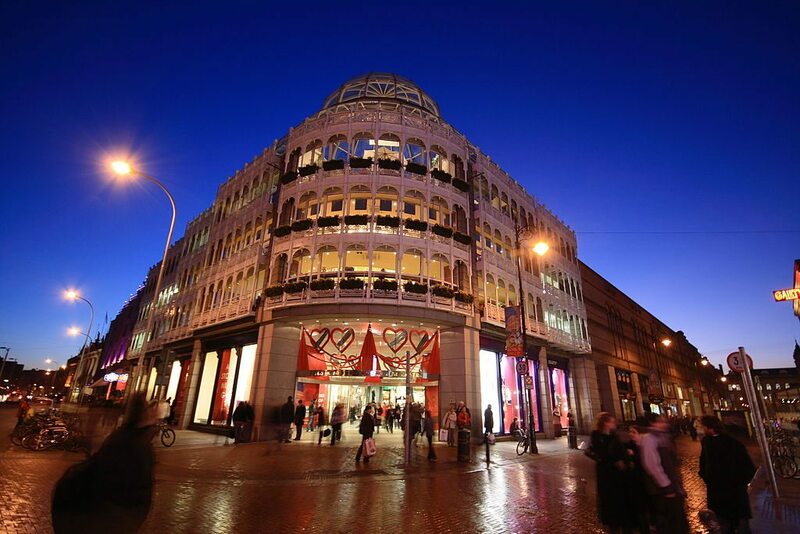 Grafton Street is so much more than a shopping street. The colorful windows displaying flowers, the warm cafes, the artists performing all are a delight to watch. In the midst of that lively atmosphere grab a cup of coffee and stroll to St Stephen’s Green. You will find an array of shops. Walk into which interests you. The service here is welcoming. Prices are also low. Happy shopping in Dublin. It is rich in historical heritage. The aerial view is breathtaking. It is a group of Medieval buildings standing on rock formations. You will have to give the architects credits. They have built something iconic. The buildings still stand tall and mighty. The oldest building is a Gothic cathedral of the thirteenth century. You can also see the High Cross. An audio-visual show is given to visitors. You will have basic knowledge of the historic buildings you visit. Engage yourself in a time warp. A secluded place for you to get away from the noise of the world. Aran Islands is a collection of three islands. Inishmore is the largest among them. It became popular after a documentary was made on the island. Visitors are tempted to uncover the mysterious islands. The towering cliffs and ancient culture will trap you in Gaelic culture. Only twelve thousand people inhabit the islands. Walk on the stones of old stone fort Dun Aonghasa. You will feel the magic of the place. It can soothe to spend your time in this quiet scenic location. Therapy to heal your worries.